The New Year is officially here. That means there are new challenges, new motivations, and brand new, exciting business opportunities galore. Among those opportunities is the chance for your professional cleaning company to add a new line of equipment to its arsenal, thus improving productivity, increasing versatility, and helping out with that bottom line. Commercial electric heaters from Colorado Tri-Flo Systems can truly do it all, and we’re here to tell you how. By adding our Eradi-Flo line of electric bed bug heaters to your portfolio, you open up your business to brand new possibilities — thus generating more sources of revenue and improving upon your reputation as a do-it-all cleaning company. 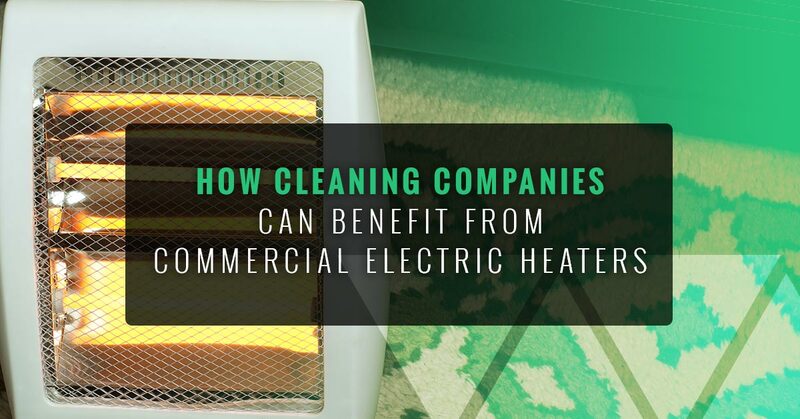 In this blog, we’re going to lay out a few ways in which your professional cleaning company can benefit from a line of commercial electric heaters. If you’re ready to get started, simply contact Colorado Tri-Flo Systems to customize your order. And remember to ask about our financing options to help you get started today! One of the primary uses for our units is as an electric bed bug heater. It’s been proven and known for years that heat is the most effective way to kill bed bugs in all stages of life. Not only have these pesky pests become resistant to chemicals, but those same chemicals can actually cause harm to the humans who inhabit those spaces. With longer turnaround times and decreased effectiveness, pest control professionals have been moving to electric bed bug heaters as a quicker, more efficient form of eradication. Why can’t this apply to professional cleaning companies, too? The fact of the matter is, your company likely already has around 80 percent of the equipment needed to add this service to your offerings. Let’s take a quick inventory. You already have the transportation down. You have all of the necessary cleaning and safety equipment. You have the ready, willing, and able staff. And you already have an established clientele — a large portion of which has probably already inquired as to whether or not you provide bed bug eradication. All you’re missing, then, is the heating equipment to do so. Making a one-time investment and purchasing or financing our electric bed bug heaters can drastically help improve your bottom line. Not only are you able to provide a much-needed service, but you don’t have to pay for expensive training or certifications. Our heaters are simple, easy to use, and operate on the electricity available right on site. Simply put, there is no reason not to add bed bug eradication to your arsenal as a cleaning service. Your reputation will greatly benefit among commercial businesses, residences, colleges, apartment complexes, and a whole lot more. Let’s just say your cleaning company specializes in cleaning carpets. Whether you are using steam cleaning, chemical cleaning, shampooing, or some other lesser-known method, there is likely going to be a waiting period as the carpets dry out. Sometimes, as you most likely know, this does not sit well with clients. In the age of instant gratification, they want their carpets to be thoroughly cleaned and dried with the snap of a finger. Well, while this may not be entirely possible, our commercial electric heaters can still come in handy. Because they are portable, efficient, and easy to plug in and operate, our line of industrial electric heaters can greatly improve your ability to dry a room in a timely manner. That’s something that will surely help you stand apart from the competition while also completing more jobs throughout the course of a month. Our line of electric heaters is capable of producing ambient heat through an innovative dual airflow model, meaning more ground is covered in less time. This allows you to complete your cleaning and drying jobs in a fraction of the time it would normally take. Perhaps your company was called in to help mop up the damage after a flood, pipe burst, or some other incident. If that’s the case, then you already know there is going to be the need for extensive drying before the real work can get done. With the Colorado Tri-Flo Systems line of commercial electric heaters, you don’t have to worry about installing gas units, tinkering with fans, or other hindering processes. Instead, you can simply plug in one or two of our units (using the electricity on-site, of course) and dry the flood-damaged area in no time at all. Our heaters are great for small and large scale restoration jobs of all types, and can help you and your restorative cleaning company to perform your jobs quicker and more efficiently. The benefits of adding electric heaters to your company’s arsenal are seemingly endless. Contact Colorado Tri-Flo Systems to learn even more, and ask about our financing options to get you and your business set up right away.